Numbers released in December show North Carolina continues to lead the nation with the most National Board certified teachers (NBCT). UNCW is ranked 21st in the country with 854 graduates achieving National Board certification, and New Hanover County is ranked 24th in the nation among the top producing districts. Public Schools of North Carolina announced the news on December 11: NC Continues to Lead US in National Board Certification Teachers. National Board for Professional Teaching Standards is the highest possible certification in the teaching profession and helps North Carolina educators earn a 12 percent pay raise. The Watson College supports NCBT candidates through the PDS Office. 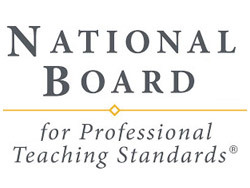 The National Board Certification Support Program provides information, support and facilitated work sessions for teachers on Saturdays throughout the academic year. There are currently over 100 teachers enrolled in the program. The Watson College has also introduced a National Board Certification Support Program for 35 teachers in Clinton City Schools, in partnership with the district. The program was featured in the November Watson Chronicle: WCE, Clinton City Schools Offer Board Certification Program for Teachers. Assistant PDS director Jenn Hatch Knight manages Watson’s NBCT program. Since 2001, the program has supported 1,258 initial candidates, 115 advanced candidates and 141 renewal candidates. UNCW is ranked 8th in the nation on the U.S. News & World Report list of “2019 Best Online Bachelor’s Programs.” UNCW announced the news on January 15. Read the story here: UNCW Ranked 8th in Nation for Online Bachelor’s Programs.